Some human rights and journalist groups have condemned statements by UN's top envoy for Somalia Ahmedou Ould-Abdallah for comparing Somali media outlets with the radio station in Rwanda that was convicted for inciting genocidal hatred in 1994. Human Rights Watch (HRW) asked Ould-Abdallah to apologize for his comments but a Somali media group Somali Press Review (SPR) says the UN envoy "has not offended Somali journalists." Ould-Abdallah's controversial statements came after a violent clash between al Shabaab insurgents and Ugandan soldiers from the African Union Mission in Somalia (AMISOM) on February 2, in which dozens of civilians were reportedly killed by the AMISOM troops. The AU peacekeeping mission's spokesmen angrily denied the accusations coming from the local Somali media and al Shabaab militants, claiming that the insurgents and suicide bombers killed the civilians instead. The same reaction came from the UN envoy Ould-Abdallah, who said the local Somali media was trying "to divert attention" from the Djibouti peace talks and "as usual to use the media to repeat Radio Mille Colline, to repeat the genocide in Rwanda." In response, Human Rights Watch (HRW) called on Ould-Abdallah to "immediately retract" his controversial statements. HRW's Africa director Georgette Gagnon said "the U.N. should be making every effort to support independent Somali media and civil society at this critical time, not comparing journalists to war criminals." But according to Abdurahman Warsame of the Somali group calling itself "Terror Free Somalia Foundation," most southern Somalia media outlets like Horn Afrik and Shabelle Media Network are owned by Habar Gidir sub-clan personals which al Shabaab depended on to "spread disinformation." Shabelle Media Network is also the main Somali media that international human rights groups and western news agencies depend on for details about the violence in Somalia. 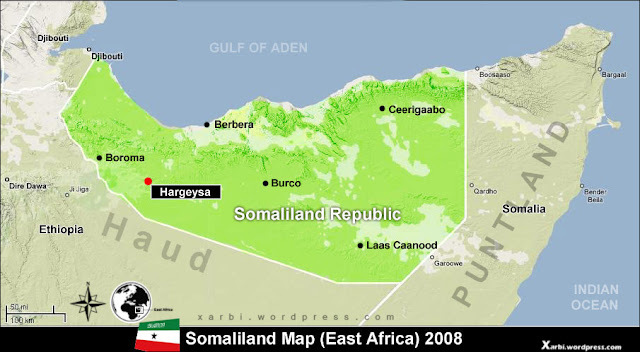 Another major local Somali media, SOMALIWEYN, literally translates in English to the phrase "Greater Somalia" which is the central expansionist ideology of radical islamists who indicated their goal to annex eastern Ethiopian and Kenyan territories of Ogaden and NFD, respectively. The 18 years old civil war in southern Somalia has been between clans and sub-clans as well as between differing forms of Islam as foreign "Arab organizations, many from Saudi Arabia and followers of the strict Wahhabi branch of Sunni Islam, quietly stepped in" lawless Somalia during the 1990s, according to a recent report published by New York Times's Jeffrey Gettleman. During these periods, several warlords linked and supported by warring clans and sub-clans rose to power as well as media outlets associated with the various sides. When the then Darod clan dominated Transitional Federal Government (TFG) of former President Abdullahi Yusuf arrived in southern Somalia in 2006, he accused many local Habar Gidir clan dominated radio stations of spreading propaganda and stirring the public against his TFG. Ethiopian troops supporting the TFG also got into a dispute with the media as some local radios claimed Ethiopian soldiers raped Somali women in Mogadishu in late 2006, a day before Ethiopian soldiers reached the city. The Somali Press Review claimed it was "clear that Mogadishu radio stations poured more fuel on the conflict that was/is raging between the Transitional Federal Government of Somalia’s forces and insurgents." According to the Institute for Security Studies (ISS), the TFG also believed there was "an illicit relationship between the journalists and the insurgents, one developed over the long period of state absence." However, some Somali rights groups accused TFG, Ethiopian forces and more recently the UN envoy for seeking censorship on alleged massacres of civilians. "This is not the first time AMISOM troops have been implicated in indiscriminate attacks on Somali civilians," added Human Rights Watch (HRW) last week. Despite pressure to retract his controversial statements, Ould-Abdallah repeated his accusations on the Somali media on Thursday. According to Voice Of America (VOA), the U.N. envoy said he "stood by his earlier charge that extremist forces such as the Islamic militant al-Shabab were trying to use the media to sow confusion and hatred, in much the same way as had been done by Rwandan extremists in inciting genocide a generation ago." He also reportedly suggested a one month ban on media reports from Somalia saying that "there is a need to have a truce, one month truce in reporting on Somalia.. till there is double, triple checking, because Somalia is exceptional." But some officials in the United Nations are reportedly calling for him to step down. Somalia elected the islamist President Sheikh Sharif Sheikh Ahmed on January 31 after a peace deal between TFG members and his moderate islamist group Alliance for the Re-Liberation of Somalia (ARS). But al Shabab islamist forces have waged jihad on the islamist leader. Somalia has not had an effective central government since 1991.